The Mocap marker deck eases the mounting of passive motion capture markers. 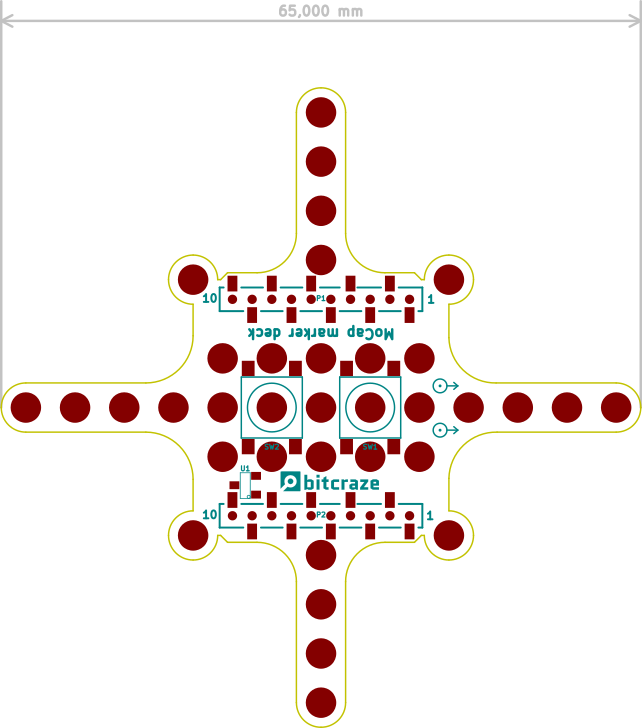 The deck consists of M3 sized holes spaced on a 5mm grid where the markers can be fitted. We suggest to use 6.5mm, 8mm or 9.5mm MoCap markers except for the corner holes. These needs 6.5mm markers or smaller to not hit the propellers. There are also two footprints where push buttons that can be fitted. This can come in handy if an action-trigger is wanted. The top one is connected to IO_3 and the bottom one to IO_2. They will ground when pushed so the GPIO should enable the pull-up.